This post is sponsored by DOSH and contains affiliate links. The content and opinions are my own. Our family enjoys traveling together, sharing our trips was the main purpose of this blog. I’ve found that parents have a lot of questions on the topic of travel. They want to know about the top kid-friendly destinations, the best time of year to travel, and I even get asked about traveling with pets. However, out of all the questions I get asked, do you know which is the most popular? We have a family of 5 and we own a small business. Our spending money is limited and so it’s a reasonable question to ask. The truth is, I’m a huge fan of saving money! 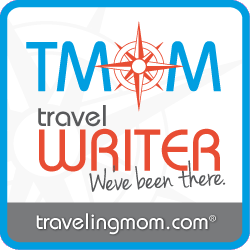 My focus is finding the best price on flights, accommodations, activities, dining and more. When my husband and I are shopping he always says “you’re not happy unless you get a deal”. I’ve always been a thrifty shopper and I look for ways to save our family money everywhere we go. Asking yourself why you save money is an important part of the process. I really love taking adventures with my family. Hitting the open road and exploring someplace new is something I’m passionate about. In order to make these dreams a reality I have to focus on why we try hard to keep our goal of saving money. Always remember the why! The top ways we save is by cutting our monthly expenses. We plan out our meals for the week to avoid the costly expense of eating out. We cut cable and found other ways we could spend less each month. Another way my family saves is by using the DOSH app. I love it because it’s simple and easy to use. A couple years ago I was a devoted couponer, but with cash back apps like DOSH, I can now save without the headache of clipping coupons. Download the DOSH app to your phone. Link your debit or credit card to the app. Browse all the deals in your area and online and select any that you are interested in. That’s it! Once you use your linked card to take advance of the offers you find on DOSH you automatically receive cash back. There are many cash back apps out there but this one is my all-time favorite! Right now with DOSH, until 9/29/2017, you get $10 just for linking your first card! Finding ways to save has helped my family continue to do what we love…travel. I’ll keep sharing these money saving tips with you. What’s your best tip for saving money? Share it below! Nice article. Thanks for the information. It always seems to be hard to afford travel, but this app may be the answer. Thank you for stopping by and leaving such a sweet comment. I can’t tell you how many times I’ve been tempted to buy an RV as our new home and hit the road with the kids. I am also making a plan to travel. I always see dream to travel with my kids. I will soon to take my kids to their interesting adventures. You are really inspired me how I have to save my money where I have to spend. Thanks for sharing the information.